Alzheimer's disease (AD) is an irreversible, progressive brain disease that slowly destroys memory and thinking skills and, eventually, the ability to carry out the simplest tasks of daily living. In most people with AD, symptoms first appear after age 60. 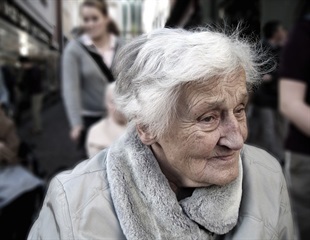 AD is the most common cause of dementia among older people, but it is not a normal part of aging. Dementia refers to a decline in cognitive function that interferes with daily life and activities. AD starts in a region of the brain that affects recent memory, then gradually spreads to other parts of the brain. Although treatment can slow the progression of AD and help manage its symptoms in some people, currently there is no cure for this devastating disease. The gene most often associated with risk of Alzheimer's Disease impacts sleep depending on gender and the severity of Alzheimer's in a patient, suggests a study led by researchers at the Keenan Research Centre for Biomedical Science. Researchers at the Center for BrainHealth, part of The University of Texas at Dallas, investigated the effects of combining two non-pharmacological interventions for adults with Mild Cognitive Impairment: eight semi-weekly sessions of Strategic Memory Advanced Reasoning Training, a cognitive training program shown to improve reasoning and ability to extract the bottom-line message from complex information; and Transcranial Direct Current Stimulation over the left frontal region, an area associated with cognitive control and memory recovery success in people with Alzheimer's disease. Researchers have known for decades that inflammation accompanies Alzheimer's disease brain lesions. Several early studies suggested that "super-aspirins" or Nonsteroidal anti-inflammatory drugs could help avoid the disease.